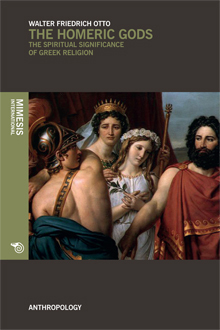 In many respects, this book is considered to be the best guide ever written on Homeric religion. The analysis by W. F. Otto, while being very careful in terms of interpretation, denotes an open consonance of the author with the spirit – sometimes brutal and, for our mentality, immoral – of Greek polytheism. A thrilling and amazing journey to the Olympus. Walter Friedrich Otto, born in 1874 in Hechingen, was a great German philologist and historian of religions. He was professor of Latin literature in Basel and Frankfurt. He also taught at the University of Königsberg. He obtained the chair of “Greek Literature” first in Monaco and then in Göttingen, becoming, in 1946, professor emeritus at the University of Tübingen. He died in Tübingen in 1958.